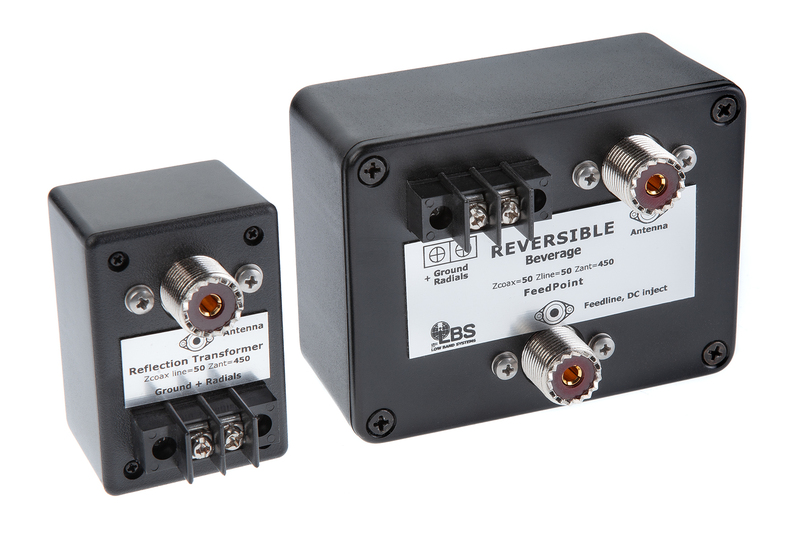 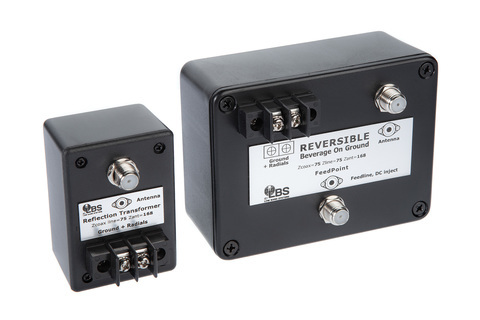 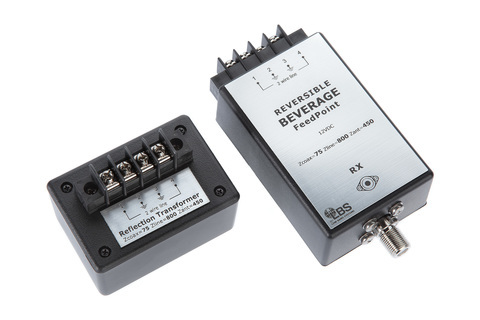 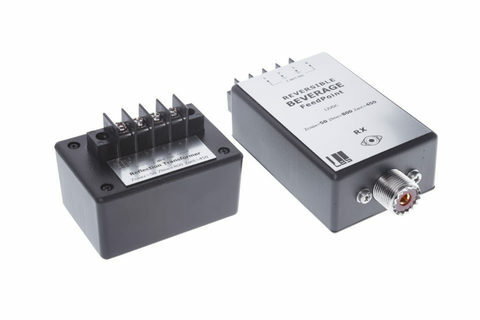 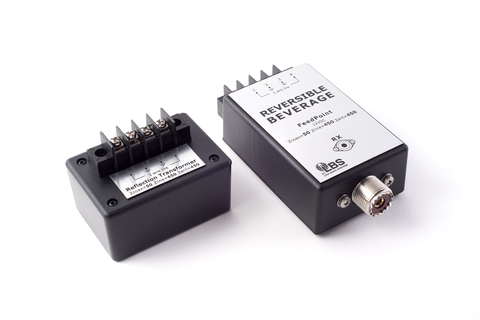 Two-direction beverage feedpoint transformer and termination transformer set, for antennas made of coax cable. 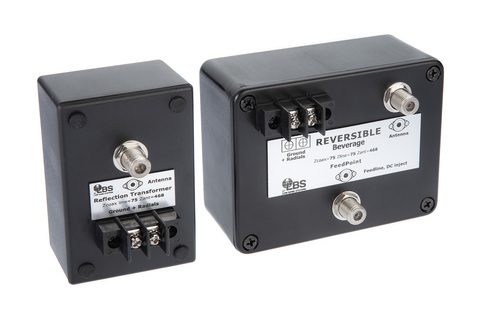 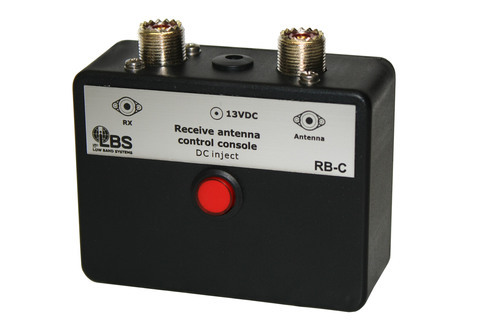 relay switch to reverse direction. 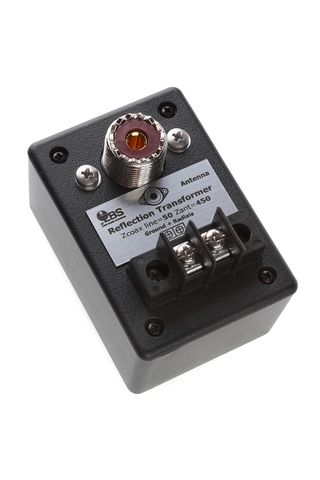 50 ohms output.